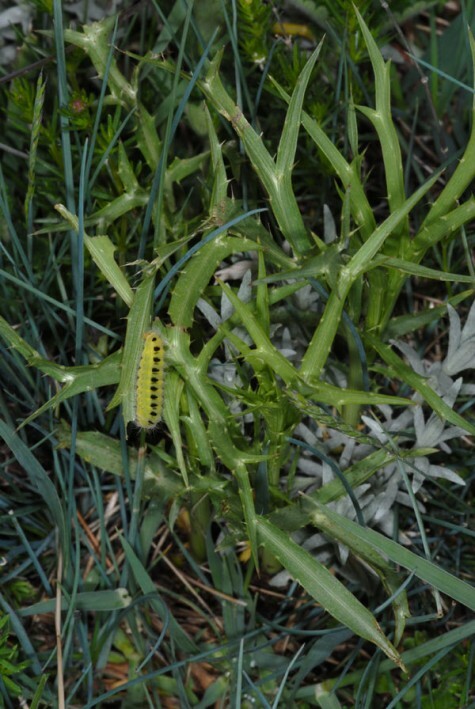 The larvae feed mainly on Eryngium species, in the first place on Eryngium amethystinum. 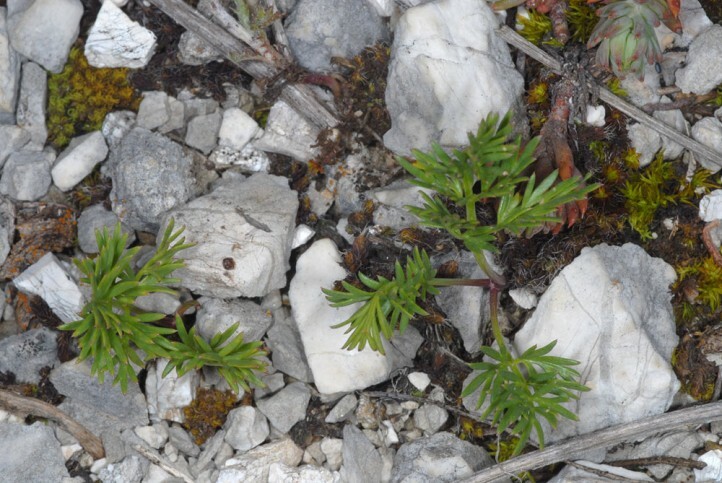 But I observed them also on an other Apiaceae from the Seseli/Peucedanum group. 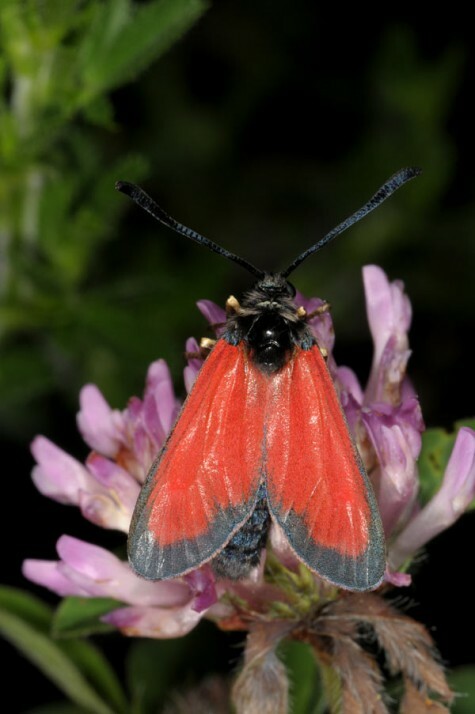 Zygaena rubicundus inhabits limestone grasslands, mountain slopes, embankments, old quarries and open scrub with the host plant. 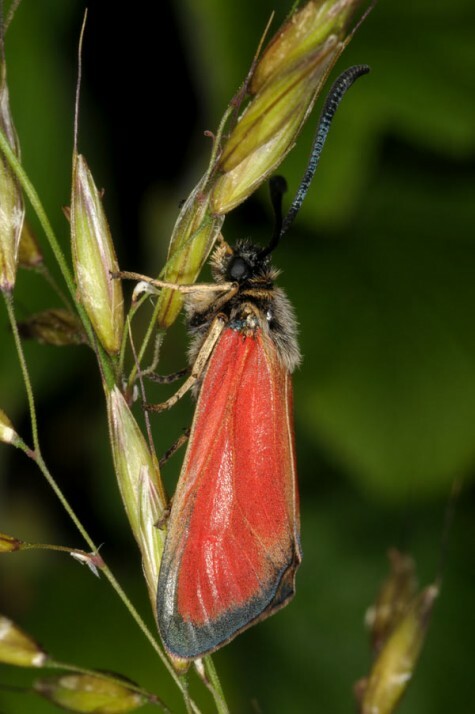 The adult moths are on the wing between June and August - according to altitude. 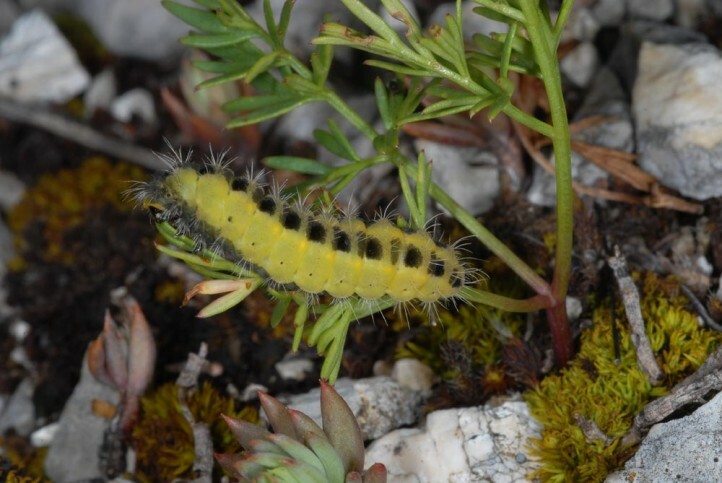 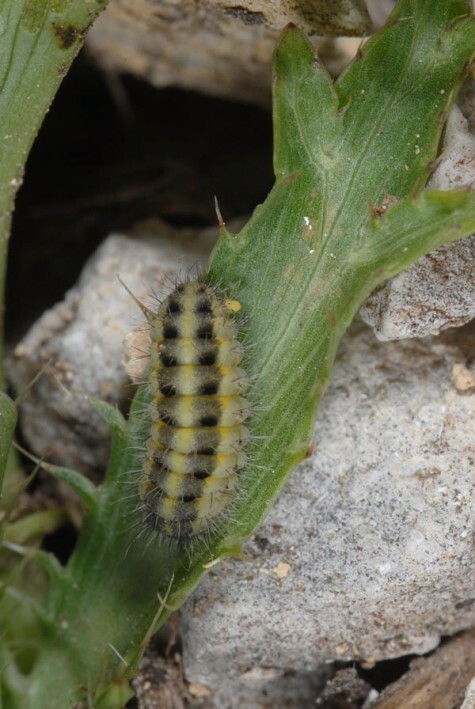 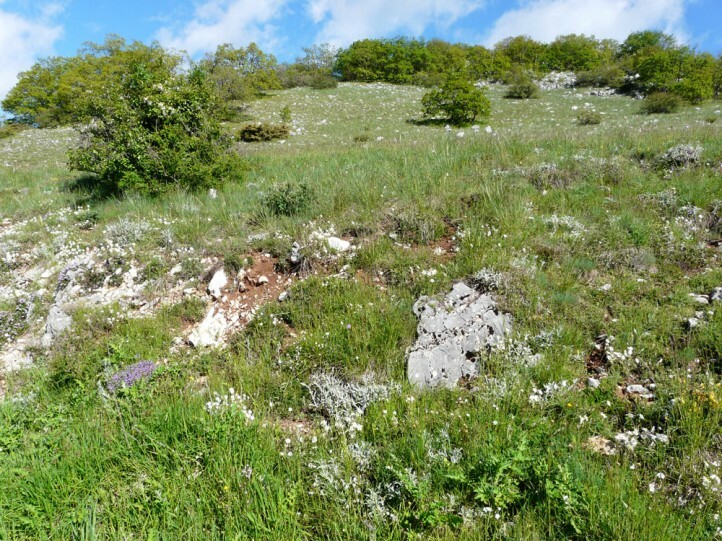 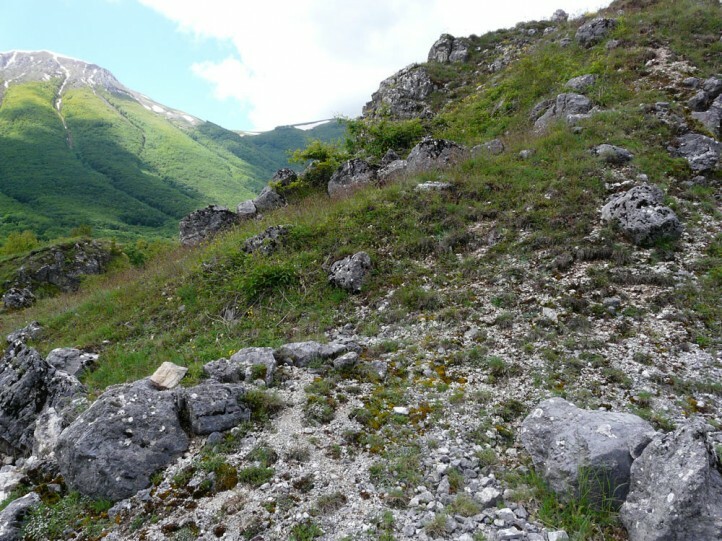 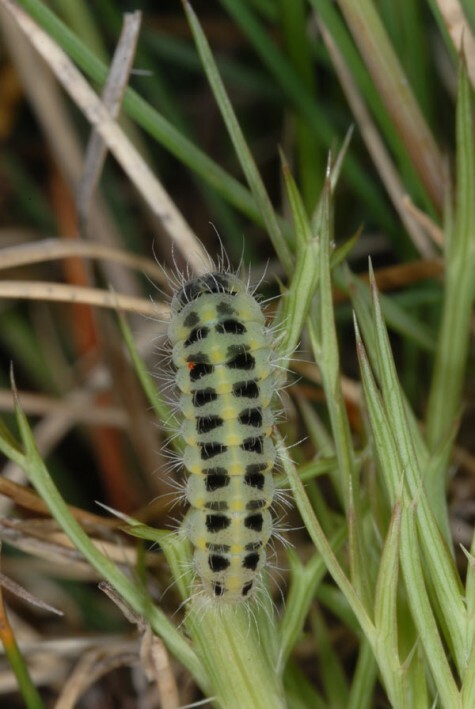 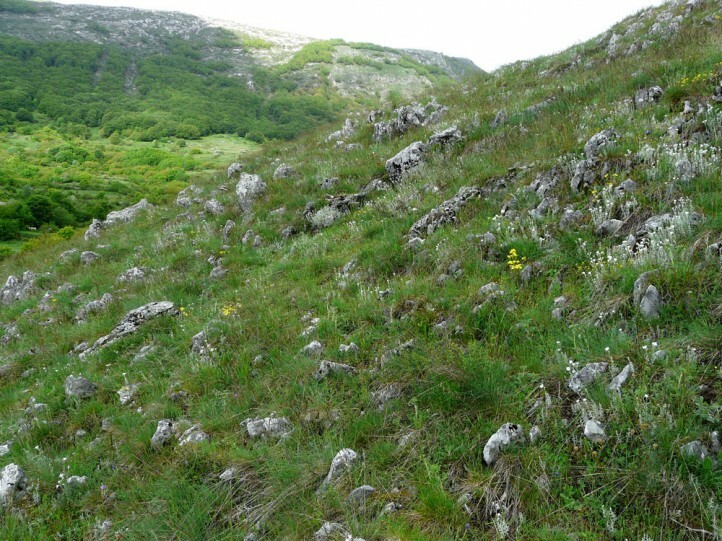 I observed numerous larvae in the Abruzzes (L'Aquila, Rieti) between 700 and 1400m asl in mid-May 2013. 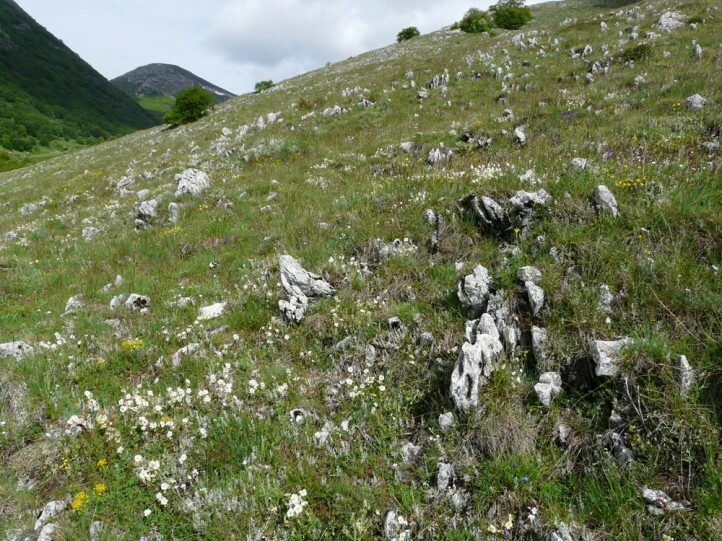 In lower altitudes they were already mature and in higher ones half-grown. 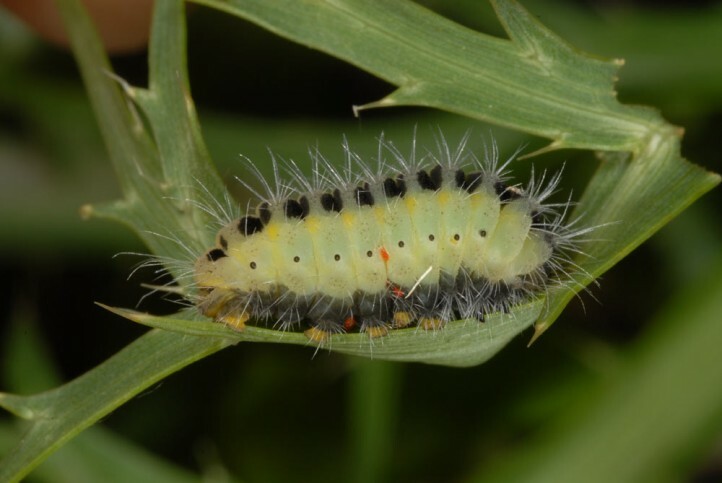 The last instar larvae mostly hang on the lower side of the plant parts and thus often show their darker ventral side. 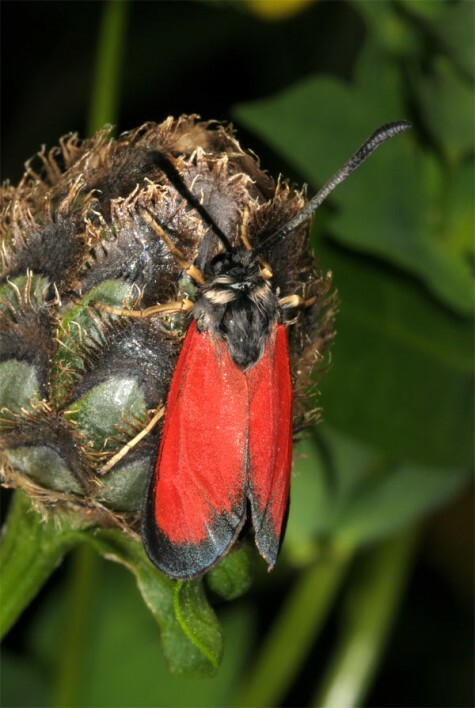 They were often infested with red milbs. 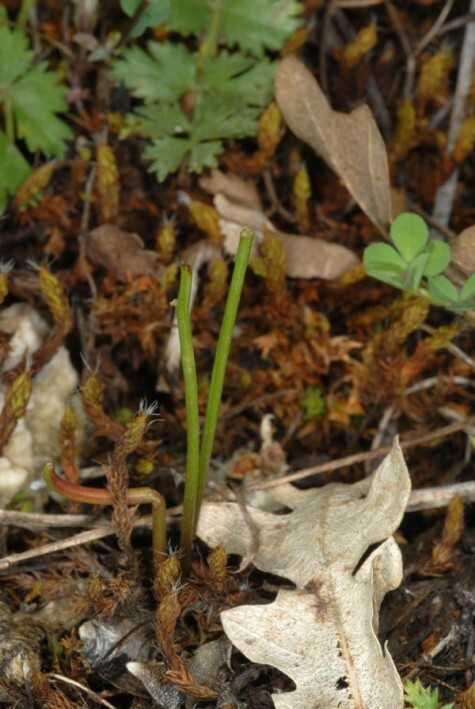 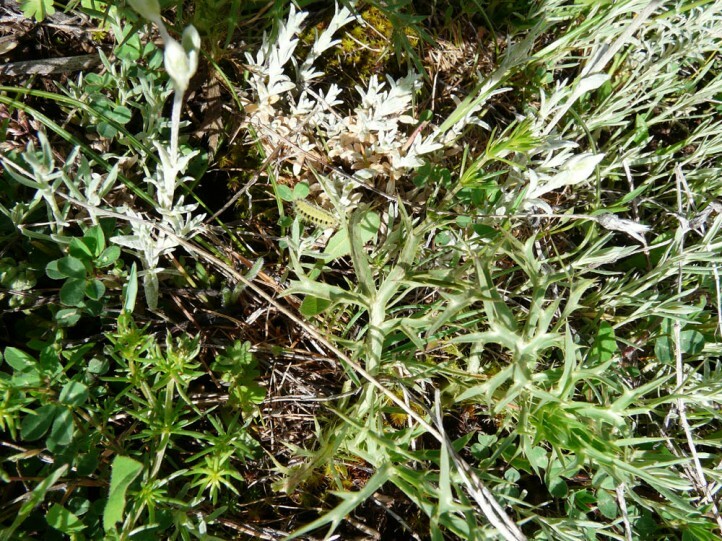 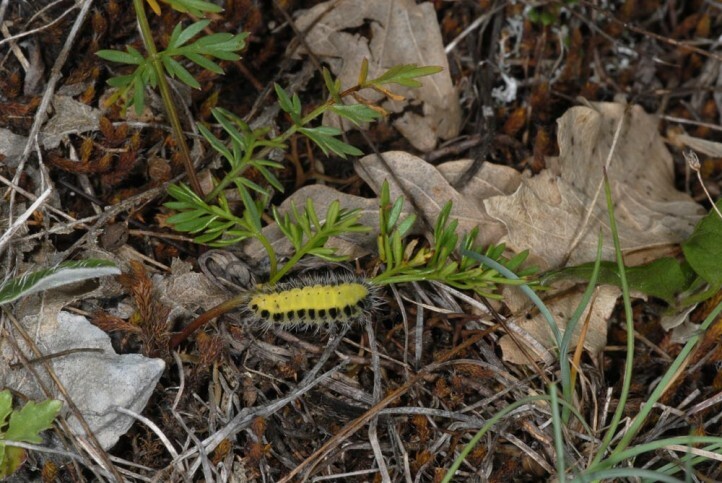 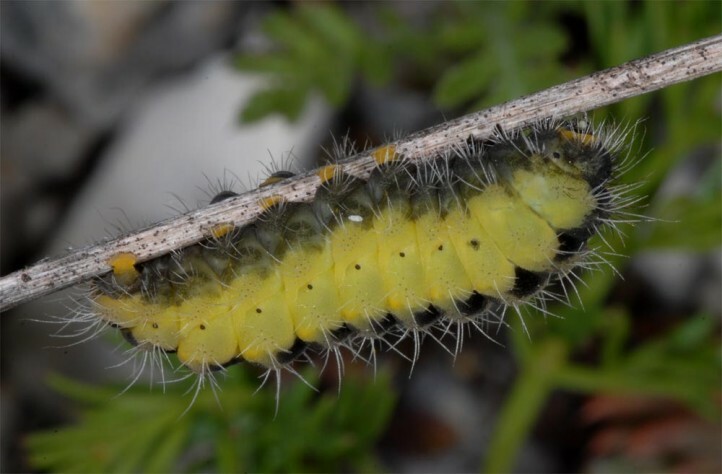 The larvae were mostly observed under warm microclimatic conditions with not too high-growing neighboured vegetation. 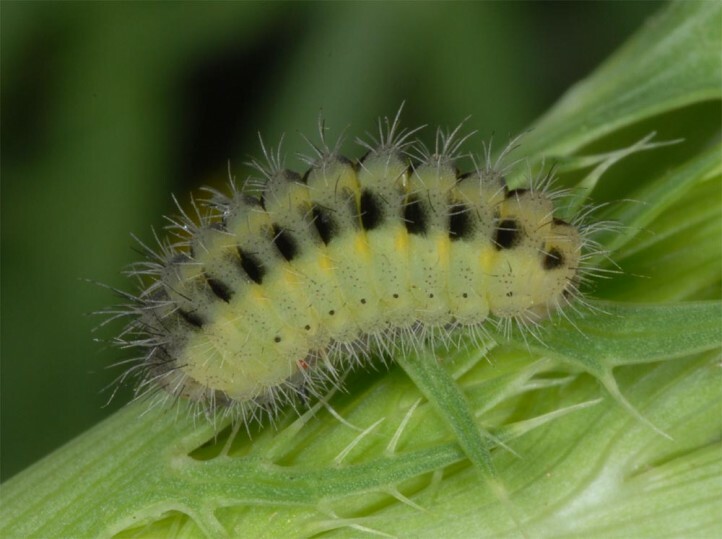 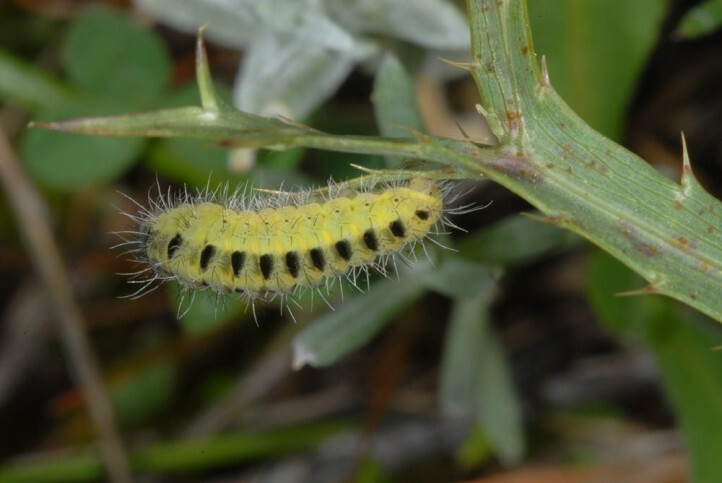 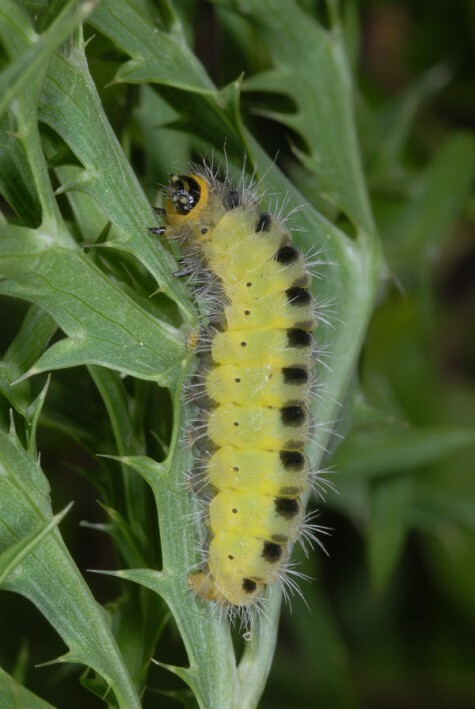 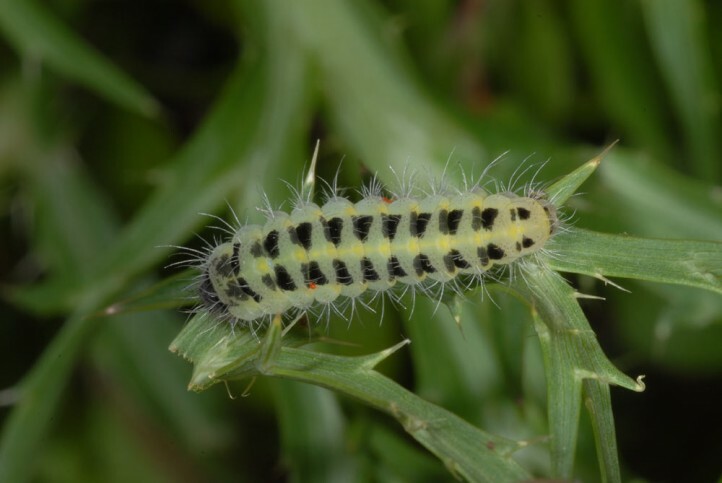 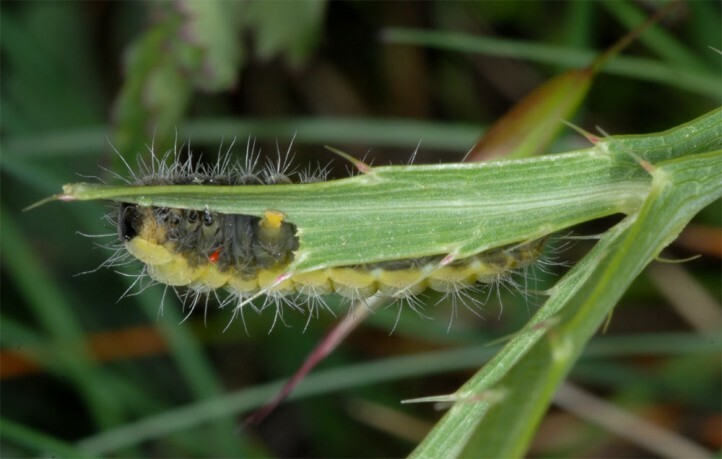 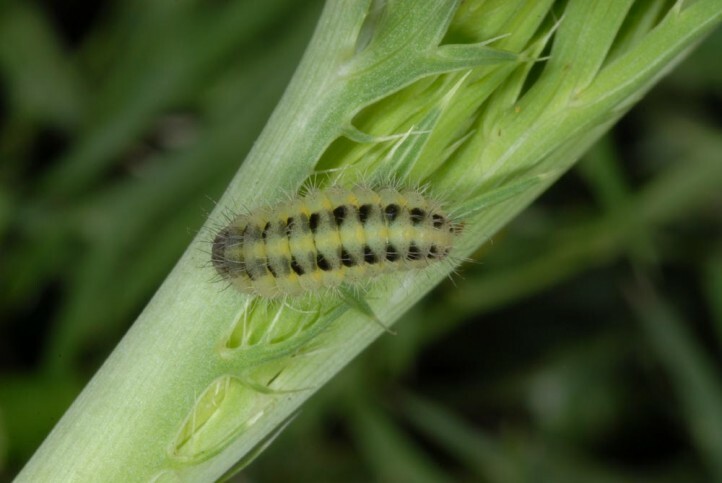 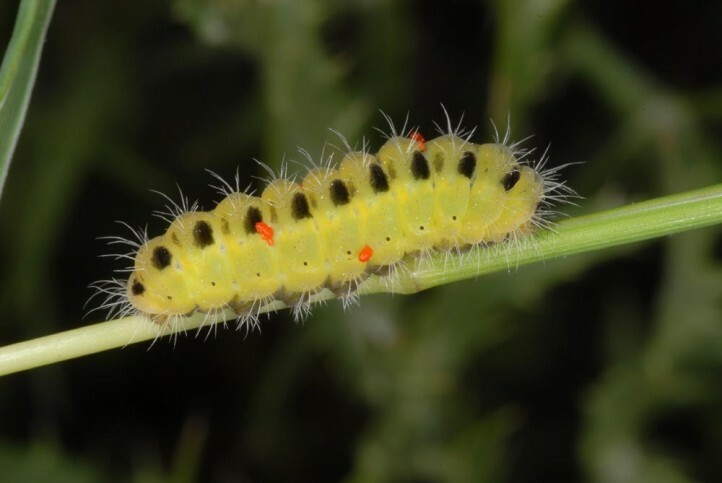 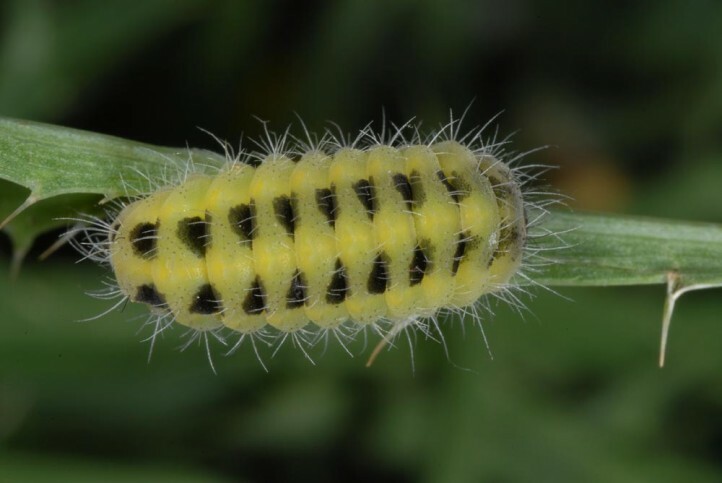 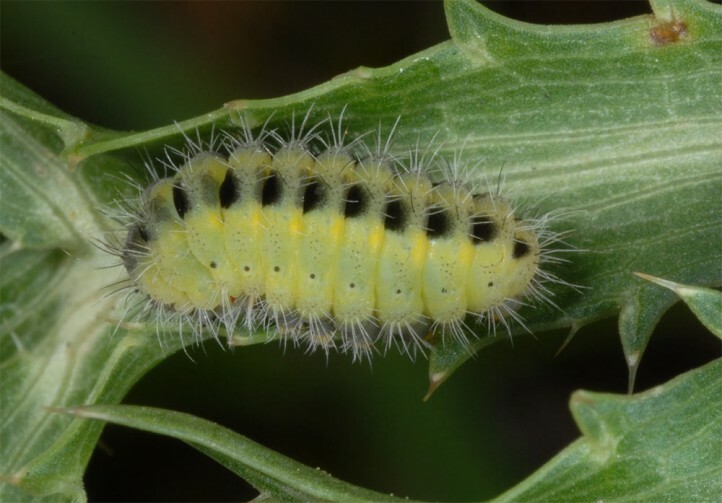 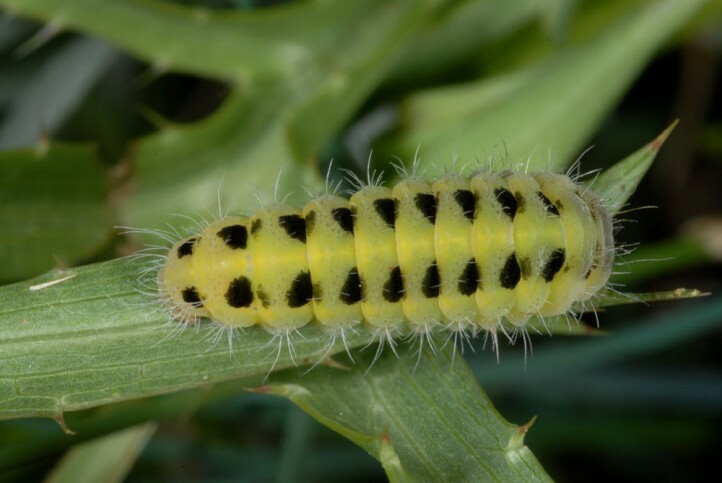 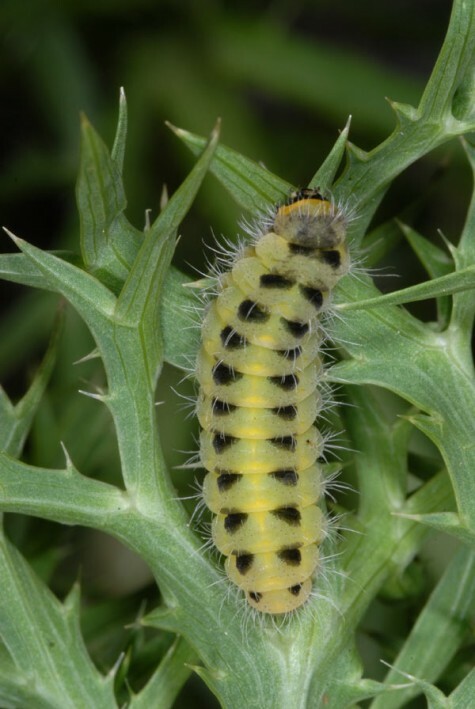 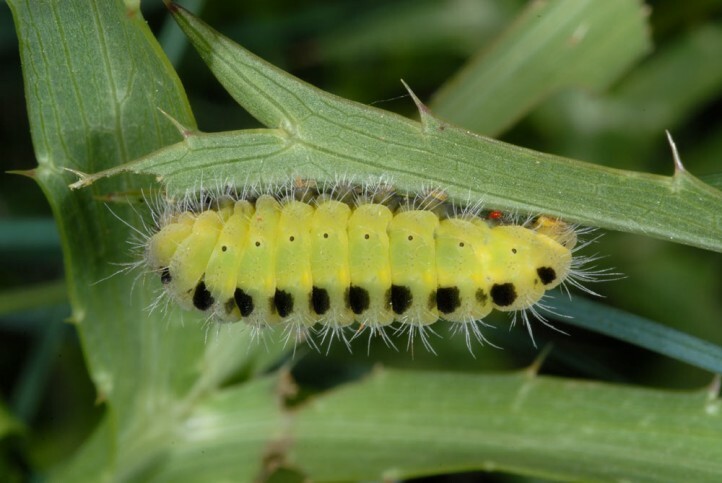 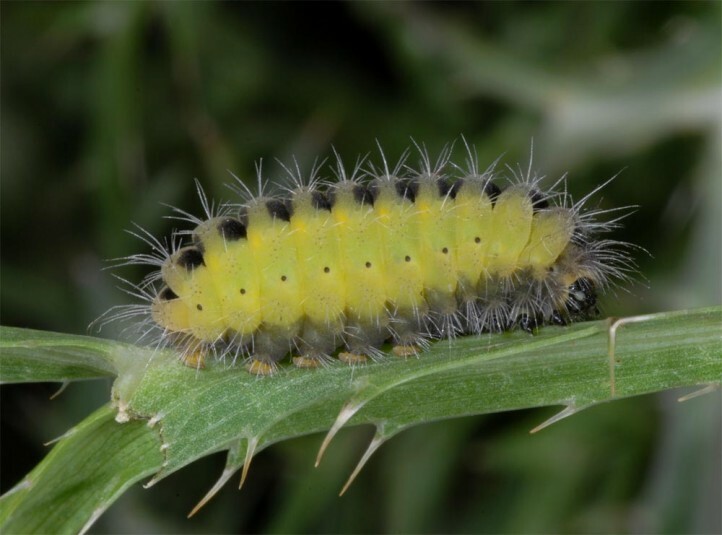 Companion species on Eryngium amethystinum were often rather mature larvae of Zygaena punctum and still quite small larvae of Zygaena erythrus. 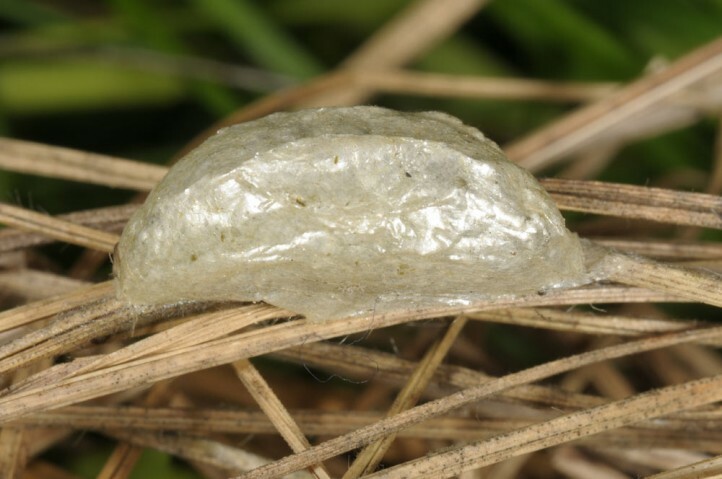 The cocoon is constructed according to breeding results in the litter or in grass tussocks. 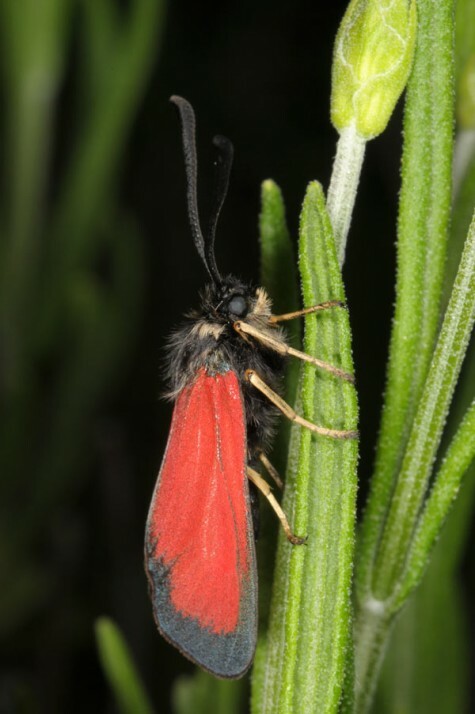 Zygaena rubicundus is probably endangered in lower altitudes due to habitat loss because of agriculture and overbuilding. 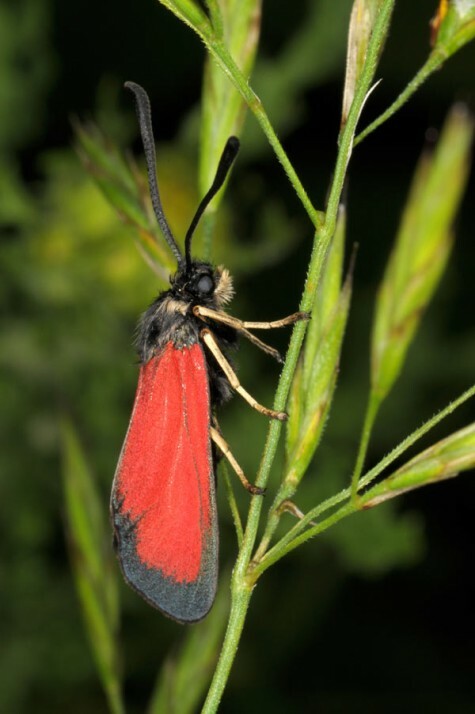 In many sites Zygaena rubicundus needs a maintenance of the extensive grazing in order to prevent reforestation. 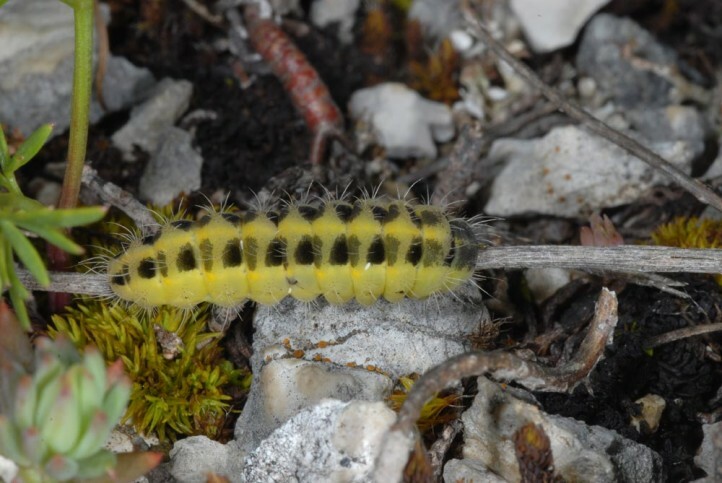 Altogether it is still a widespread species especially in the mountain ranges (Abruzzes!). 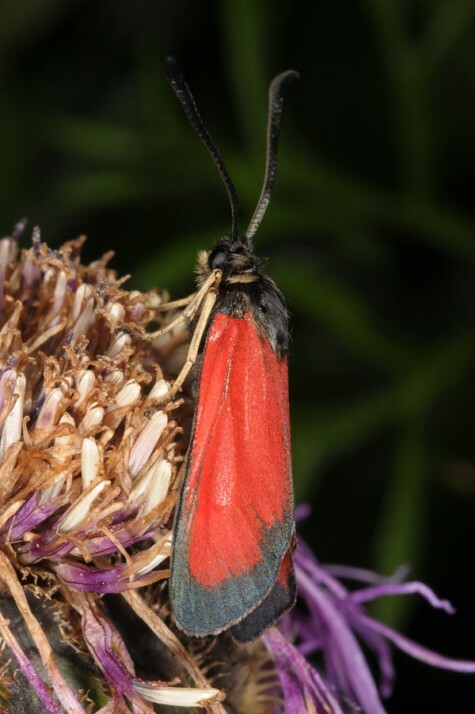 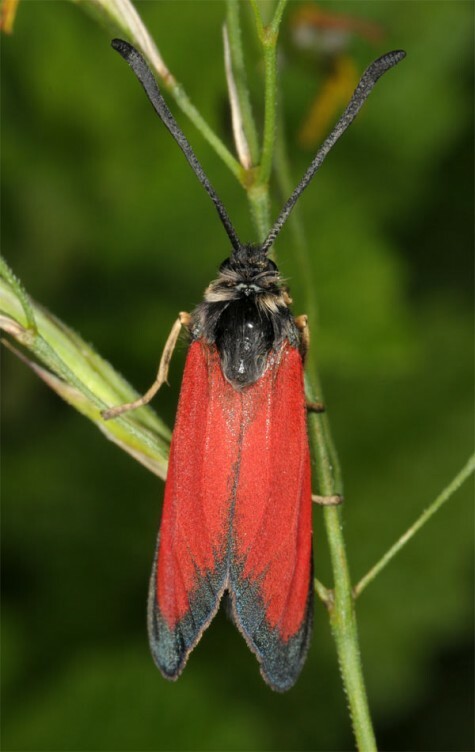 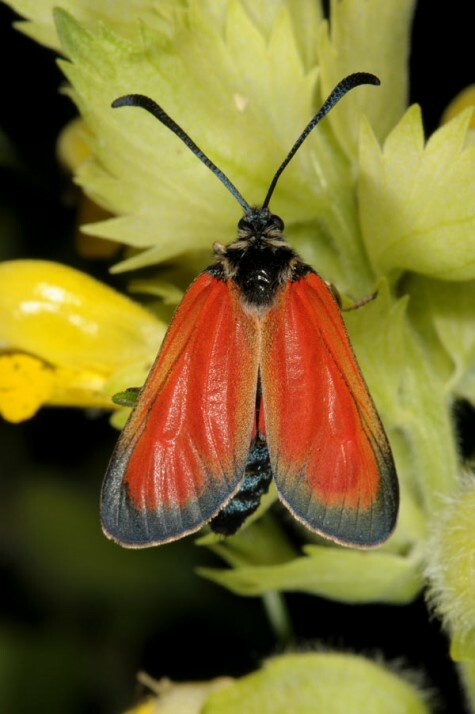 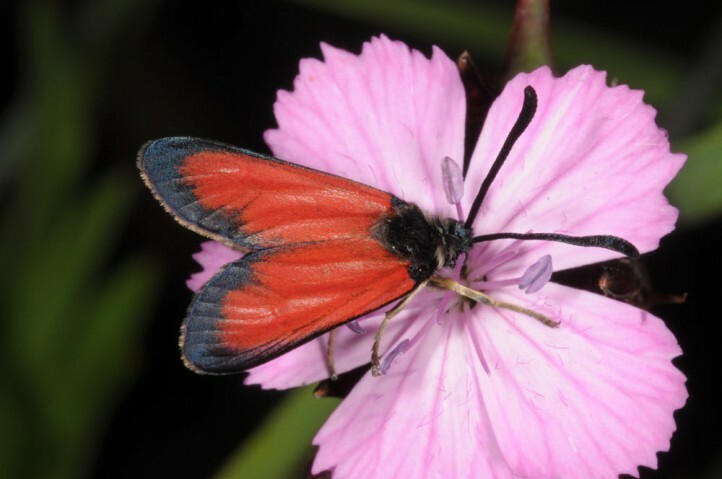 Zygaena rubicundus is endemic to Italy and is found there in the central and southern parts (but without Sicily) up to 1600m asl. 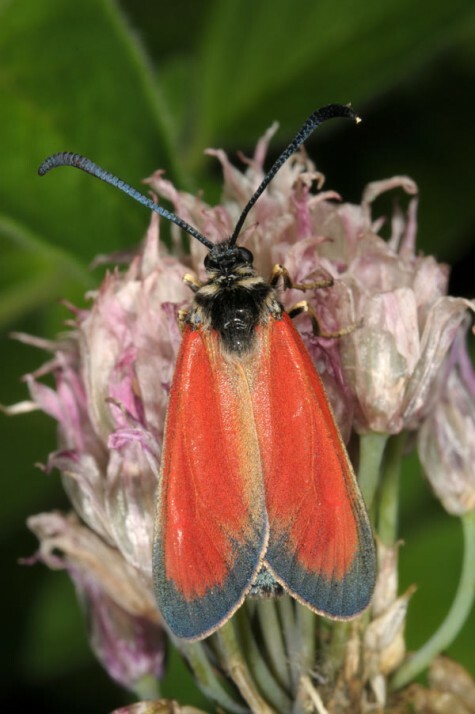 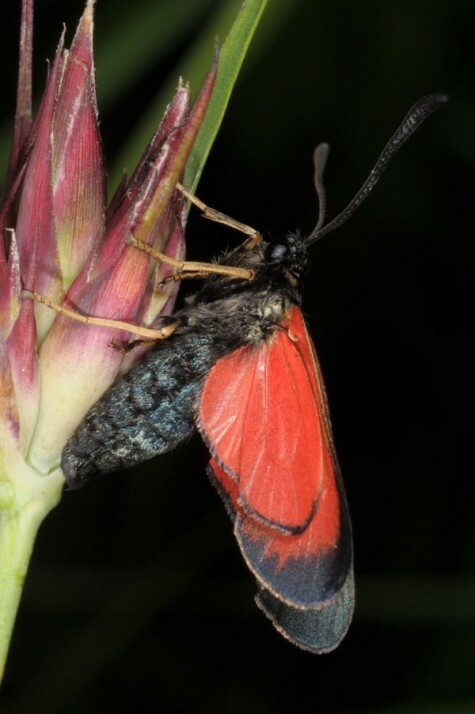 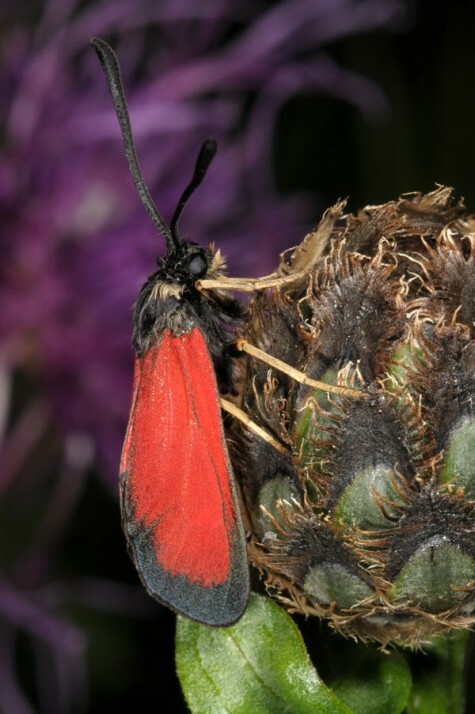 Zygaena rubicundus is obviously closely related to the Southwestern European Zygaena contaminei.